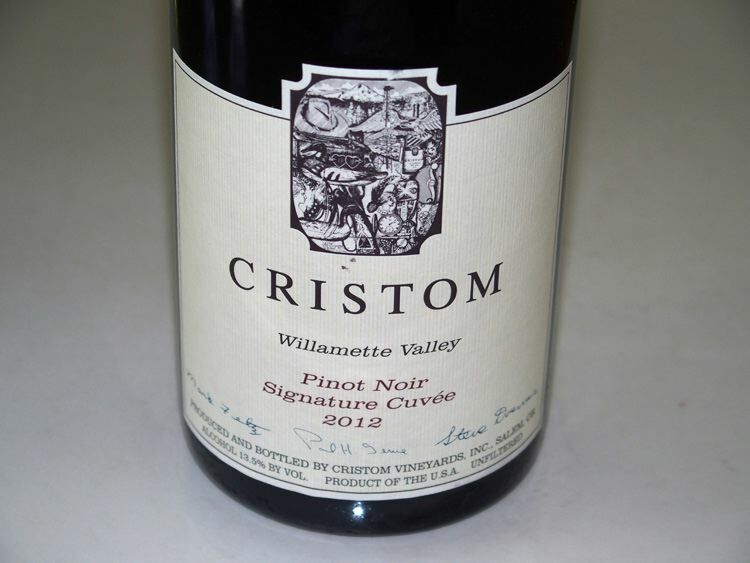 Cristom's founder and owner, Paul Gerrie, used his skills as a petroleum engineer and avid researcher to pursue his passion for wine. On his travels to France, he was introduced to the traditional growing practices of the Burgundy region. 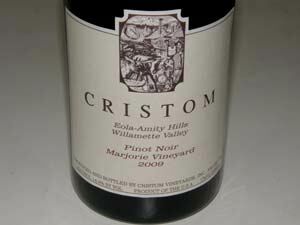 He learned that soil (terroir) and site were key in developing the complexity of the fruit. 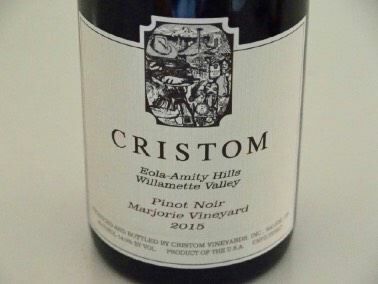 After a 1991 visit to the International Pinot Celebration in Oregon, Paul decided the time was right to leave the East Coast and bring his family and his passion for great Pinot Noir to Oregon's burgeoning wine country. 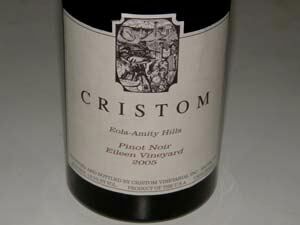 In 1992, he found a small existing winery and vineyard in the Eola-Amity Hills and bought it. 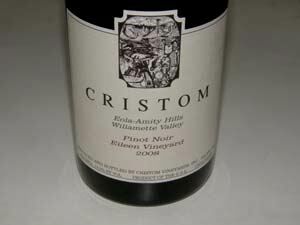 He named the new winery Cristom, after his two children: Chris and Tom. His dream could not be complete without a winemaker who shared Paul's vision of "letting the land make the wines." Enter Steve Doerner who, after a quarter century of experience, still believes the winemaker's job is to "optimize what nature — the vineyard — provides." In addition to his reputation as a master winemaker with "keen intuition" (possibly from his French heritage), Doerner is a biochemist by training. His passion for Pinot Noir was inspired by working at Calera Vineyards with owner Josh Jensen and studying under Jacques Seysses of Domaine Dujac in Burgundy. Doerner considers Jacques his mentor. 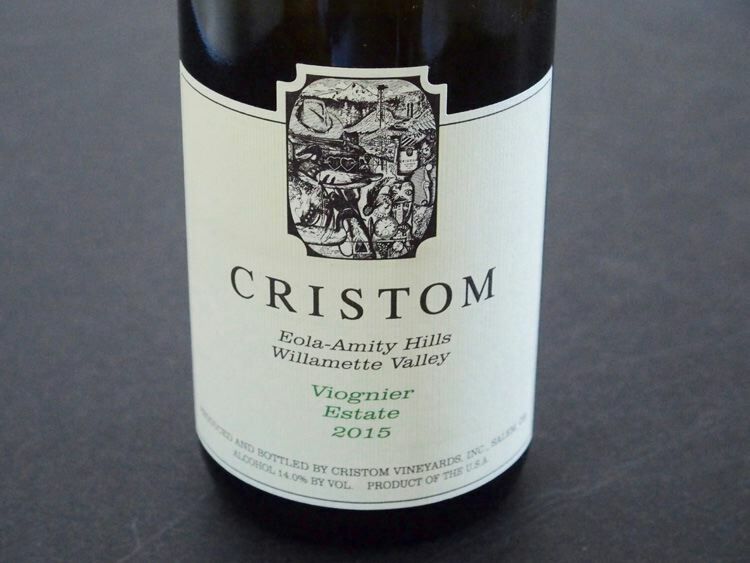 The engineer and biochemist set out to cultivate their vision in 1992, which today, can be seen in the eight distinct vineyards on Cristom's 65 acres in the Eola Hills of Oregon's Willamette Valley. The vineyards are planted to high density (about 2,300 vines per acre) and yields are strictly reduced. Marjorie Vineyard is part of the original vineyard existing when the property was acquired and has been kept original at 605 vines per acre. 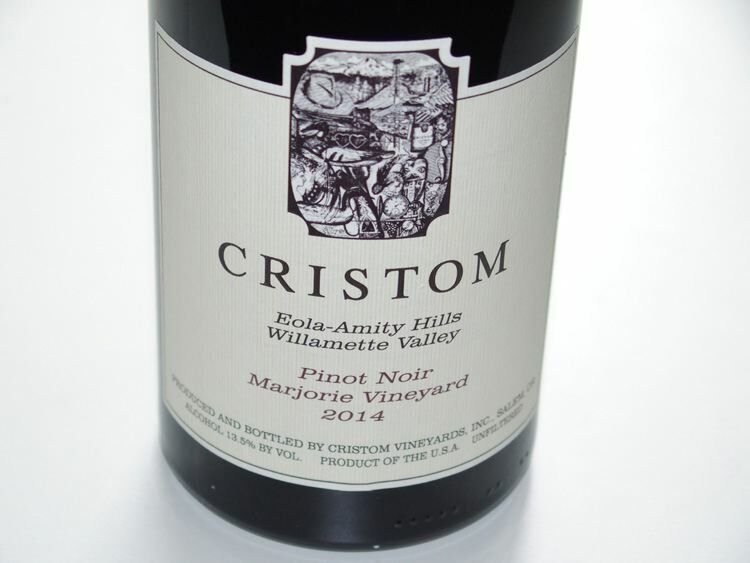 The Pinot Noir vineyards (named after family members) include Marjorie (the original vineyard on the property when Gerrie purchased it in 1991 and the only vineyard on the estate planted on its own roots), Louise, Jessie, Eileen and Emile, and vineyard-designates are produced from each. Another vineyard, Paul, named for the winery founder, is in its third leaf as of 2017. There is also excellent blends including Mt Jefferson Cuvée, Sommer's Reserve (a blend of multiple blocks), Estate and a Signature Cuvée. 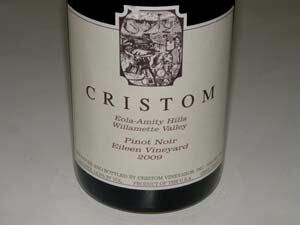 The vineyards at Cristom are unique in that they form a continuum from 220 feet at the bottom to 750 at the top. At the bottom are old flood sedimentary soils, transition into volcanic soil as elevation increases. 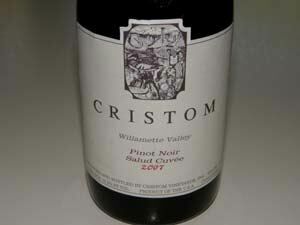 The Pinot Noir is all planted on volcanic soils. 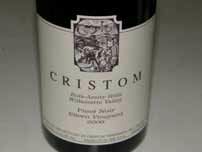 Both winemaker Steve Doerner and viticulturist Mark Feltz have been at Cristom since it was started in 1992. 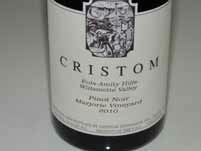 These are outstanding Pinot Noirs with a Burgundian sensitivity. 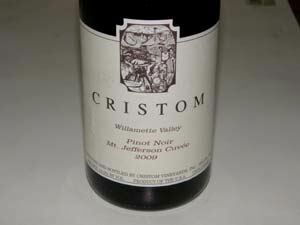 They are rather unique for Oregon by virtue of the use of whole cluster fermentation and age very well. Doerner is a minimalist, working with native yeasts, without a cold soak, filtration or settling, and minimal fining and racking. Because of the whole clusters, acid additions are often necessary. Chardonnay and Pinot Gris are also produced. 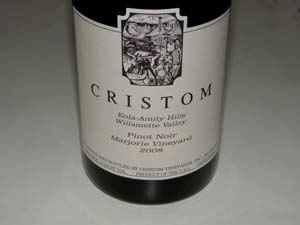 Cristom releases several of their wines in half-bottles allowing for earlier consumption. There is good retail distribution. 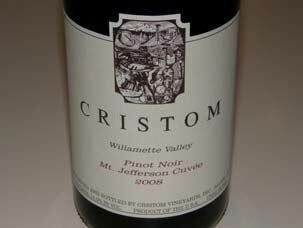 Total annual production is 10,000 cases, of which 75% is estate grown. Paul Gerrie retired and his son, Tom, is the current proprietor and manager. A tasting room is open seasonally. 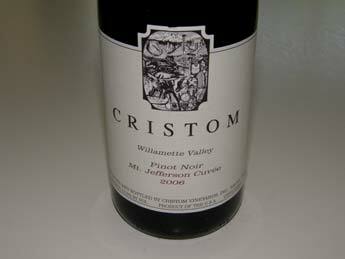 Annual production is 18,000 cases, of which 80% is estate grown.